Gary A. Zucker & Associates, P.C. is committed to helping injury accident victims receive just compensation after any kind of serious incident. We have helped so many clients in and around Brooklyn, providing strong legal representation after injury auto accidents. As more and more people have decided to use their bikes to get around, we've noticed an increase in accidents involving bicyclists. Let's consider your legal rights in bike accident cases. If you are a bicyclist, you need to be very careful on the road. While bikes and cars are meant to share the road together, there a plenty of times when bicyclists may be driven off the rode, struck, or collide with other vehicles, resulting in serious injuries. Since bicyclists are more exposed to harm than people in motor vehicles, the chances of experiencing a severe injury that causes lasting disability is high. Even if you are wearing a helmet, this will not necessarily protect you from major injuries that may be sustained, such as serious abrasions, broken bones, and so forth. For that reason, it's important for bicyclists to try to remain as safe as possible, staying in designated lanes, wearing bright and reflective colors at night, and using proper hand signals to notify drivers of your intention to turn or slow down. 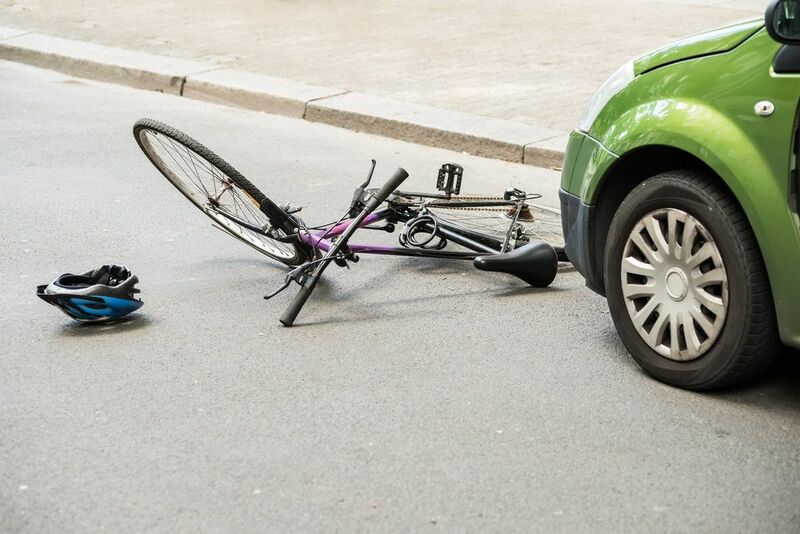 If you are biking safely and are struck by a motorist as a result of inattention, it's imperative that the inattentive driver be held accountable for his or her negligence. Whether the inattention was caused by texting behind the wheel, using the phone while driving, or any other kind of reckless behavior, the fact is that the accident could have been prevented had the motorist been more attentive of others on the road. Another issue to keep in mind is the the way that bike lanes are maintained. If someone has double-parked in a bike lane resulting in and accident or contributing to the occurrence of an accident, that person should be held legally accountable. Similarly, the city should maintain their bike lanes to the best of their ability, which prevents major harm befalling commuters on bikes or people who are simply out for recreation. We believe that bicyclists should have strong legal representation if they are the victims of negligence, whether by individuals or major entities. The laws regarding traffic accidents and injury litigation can be quite complicated, so much so that the average person simply cannot negotiate these matters on their own. Having a skilled attorney on your side will give you the ability to recovery damages for injuries you have sustained, covering financial losses and other hardships that occurred as a result of the accident. Our team is here for you. If you would like to learn more about your legal rights following a serious bike accident, it's important that you contact our team of personal injury attorneys today. The team at Gary A. Zucker & Associates, P.C. will help you receive just compensation to cover medical bills and other losses.